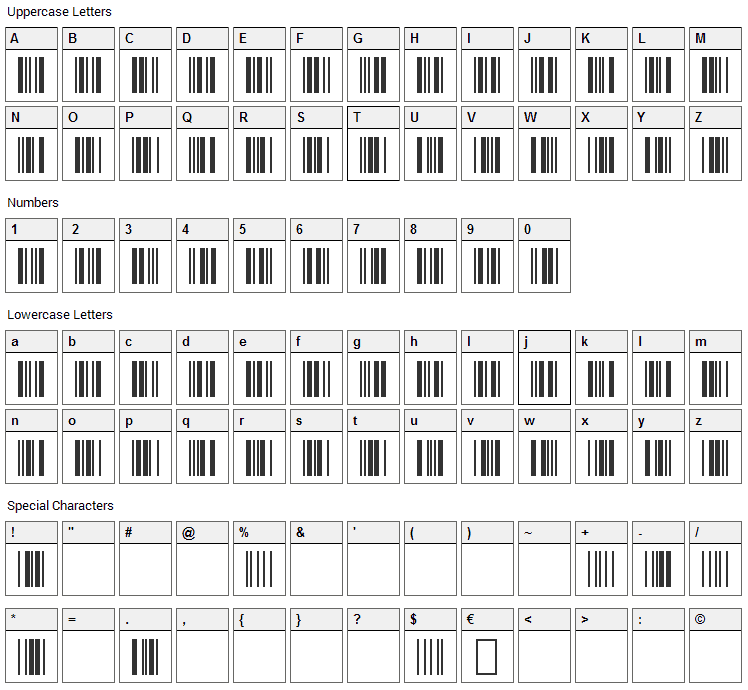 Can you believe there are people who would charge you for a barcode font like this? It took very little time to make this so I thought I'd donate it to the world. It is suitable for scanning even at fairly small point sizes (with a laser printer). I have tested printed copies of this font with a couple different scanners and it worked perfectly. This is 3 of 9 (sometimes called "code 39"), a widely used barcode standard that includes capital letters, numbers, and several symbols. This is not the barcode for UPC's (universal price codes) found on products at the store. However, most kinds of barcode scanners will recognize 3 of 9 just fine. To create a valid 3 of 9 barcode you have to begin and end it with a special character. Scanners look for this character to know where to start and stop reading the barcode. It is represented in this font with the '*' character. So, to create a barcode for the text "ABC123" you have to type out "*ABC123*". Note that barcode readers will not include the *'s in the text they return. They will just give you the "ABC123". Two versions of 3 of 9 are included. The font called "Free 3 of 9" is the basic 3 of 9 standard. It includes letters and these symbols: $ % + -. and /. The font called "Free 3 of 9 Extended" covers the extended 3 of 9 standard. It includes all the ASCII characters. 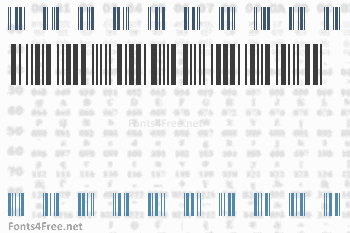 3 of 9 Barcode font contains 238 defined characters and 46 unique glyphs. 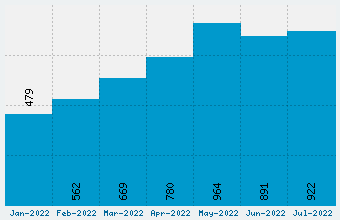 The font contains characters from the following unicode character ranges: Basic Latin (93), Latin-1 Supplement (95), Latin Extended-A (8), Latin Extended-B (1), Spacing Modifier Letters (2), General Punctuation (36), Letterlike Symbols (1), Mathematical Operators (1). 3 of 9 Barcode also known as Code 39 font is a dingbats, bar-code font designed by Paul Andre LeBlanc. The font is licensed as Free. The font is free for both personel and commercial usages. In doubt please refer to the readme file in the font package or contact the designer directly.